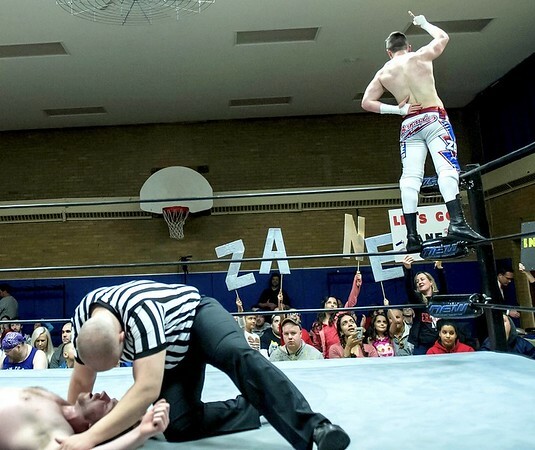 NEWINGTON – An average day for AJ “Zane” Bernardo looks like this: Wake up at 8 a.m., hit the gym, spend three to four hours writing, train in East Haven and end the night at the gym. 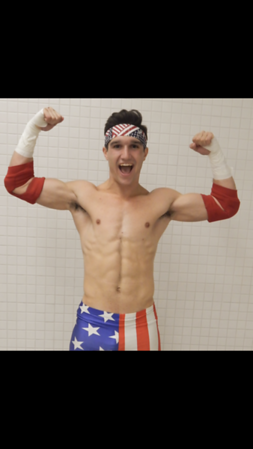 The professional wrestler and Newington resident is 19 years old, but his Instagram page doesn’t reflect the carefree lifestyle enjoyed by his peers. 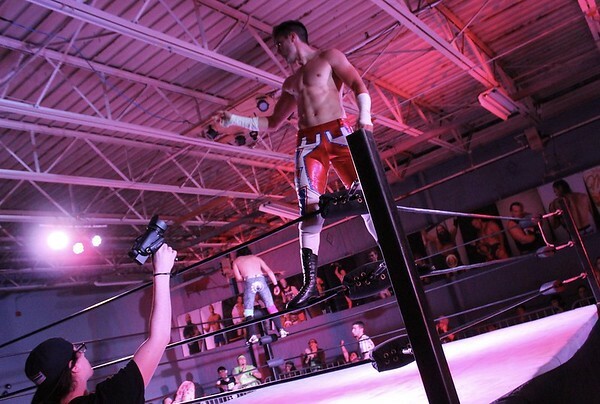 Bernardo’s Friday and Saturday nights are spent in matches, making money and working towards stardom. As one member of a tag team with Farmington wrestler RJ Rude, Bernardo is doing three to four matches a week. The team wrestled in front of 3,000 people at Dutchess Stadium in New York Saturday. The crowd went berserk as they came out to their theme song, “I Found a Way” by Drake Bell. “Our characters are funny, happy to be there, good guys,” Bernardo says. He also recently returned from a wrestling rendezvous in California. Tuesday, Aug. 7, was the two-year anniversary of his very first match. Since then he’s been in 103 matches. He won all three that took place this past week. But winning falls behind other things on a short list of priorities. Sharing a locker room with his childhood hero Mysterio was actually the weekend’s highlight. 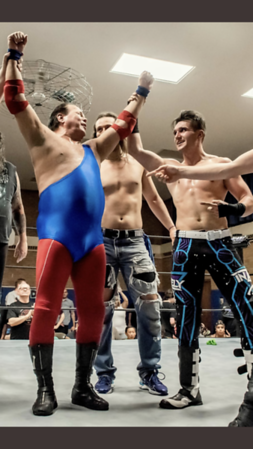 He’s even shared the ring with Jerry “The King” Lawler – another World Wrestling Entertainment legend – and will be again Aug. 25 when Northeast Wrestling's Under the Stars Tour comes to Muzzy Field in Bristol. But dropping big names is not Bernardo’s style. He is as humble as any 19-year-old professional wrestler can be. Self-discipline means following a strict training routine and staying focused. Since graduating from Newington High School in 2017, he had a brief stint as a teacher’s aide but was quickly able to make wrestling a full-time job. 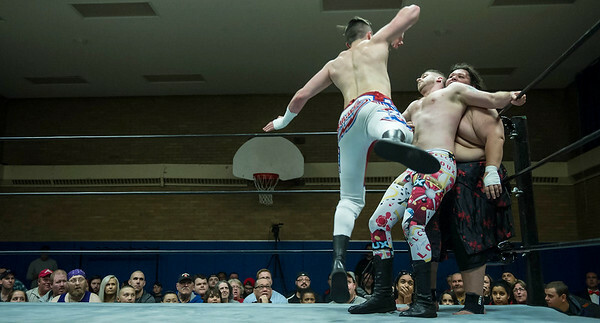 Most of his matches are with Northeast Wrestling, the same company he followed as a starry-eyed kid doing flips in a ring in the backyard. He’s also worked on seven independent films, acting in five. Movies are sort of a side project, kind of like the book he’s working on right now. It’s a piece of historical fiction about Robert Kennedy saving John F. Kennedy. “It’s not going to go anywhere, I just like to keep myself busy,” Bernardo says. 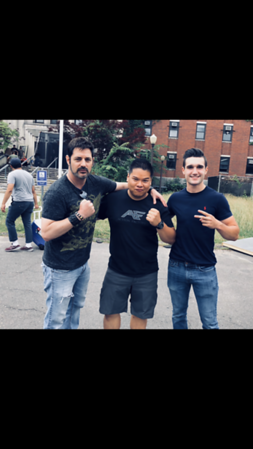 Check out Zane Bernardo on Twitter at #inZanely Rude and Facebook.com/TheZaneBernardo. Posted in Newington Town Crier, Newington News on Wednesday, 8 August 2018 17:24. Updated: Friday, 10 August 2018 12:06.